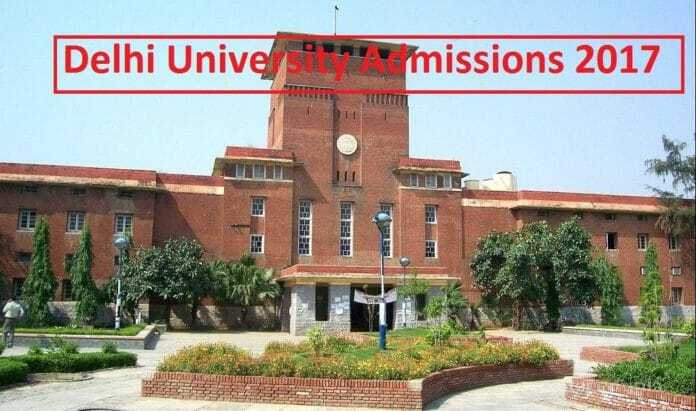 Delhi University has established in the year 1922 as a unitary, teaching and residential university by an act of central legislative assembly. Now, this university became one of the famous universities in India. At present they are 86 academic departments, 77 colleges and 5 other recognized institutes. At present 1, 32, 000 regular students are studying in the university. This year also they are going to release the Delhi University UG admissions 2017. Interested candidates who want to apply for the examination can register their names. Please check out the details of DU Under Graduate Courses Admissions. Applicants will give admissions through cut off marks or entrance test exam. Those details are provided in the Delhi University UG Notification, and please check out the details. The DU Under Graduate Courses Admissions will be given for various courses like B.A, B.com, B.sc, BBA, BBM, B.tech. DU PG admissions will be given for different PG courses like MBA, MCA. M.com, M.sc and other courses. For DU PG admissions apply online please visit official website http://admission.du.ac.in/pg2017/index.php . Candidates, please check the important dates and apply for the notification, only online applications are accepted.